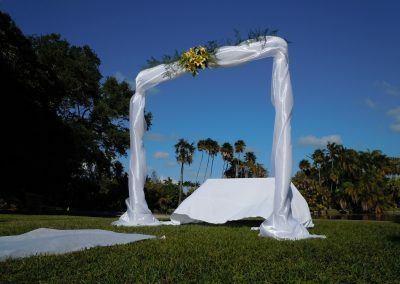 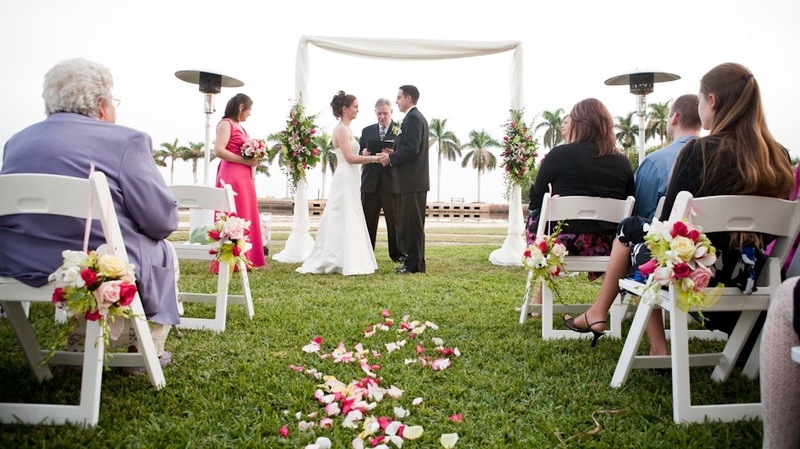 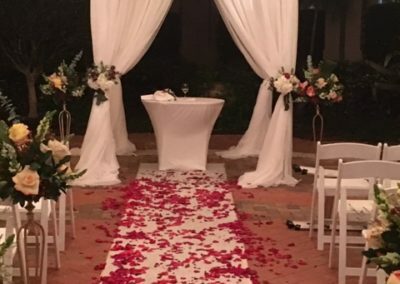 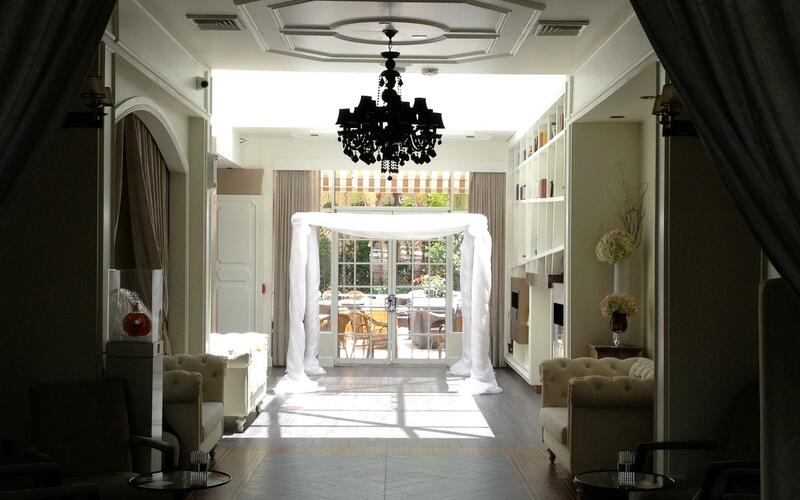 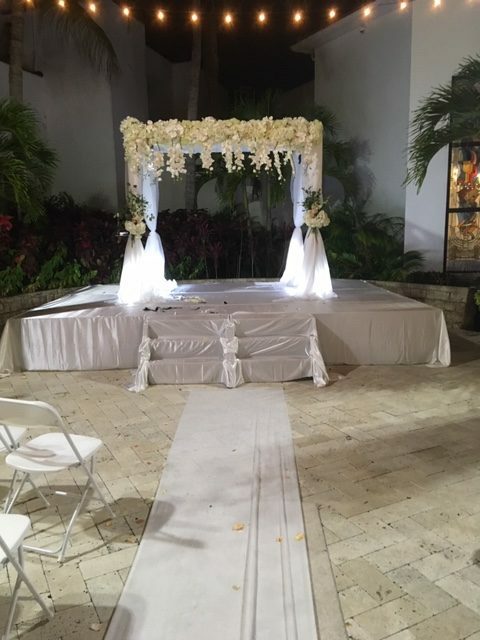 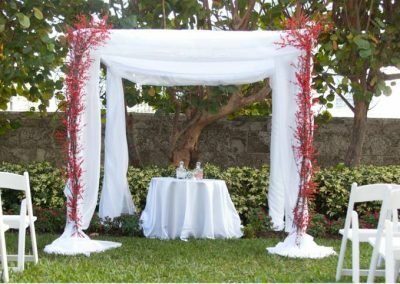 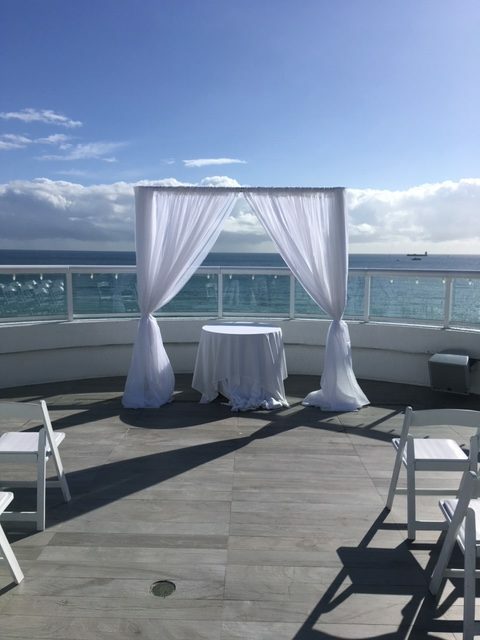 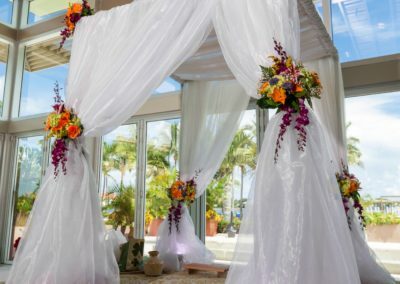 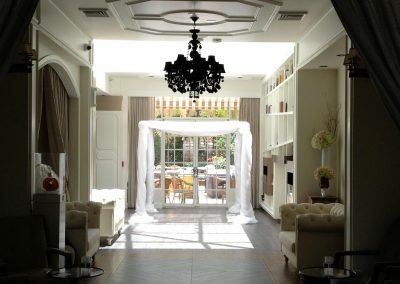 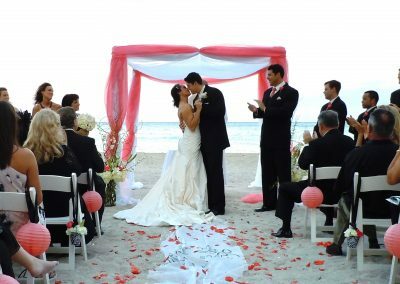 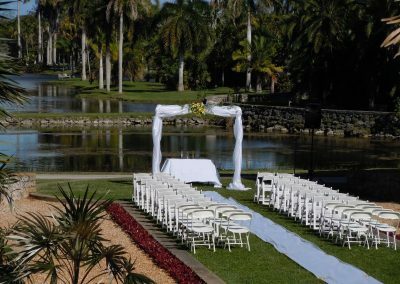 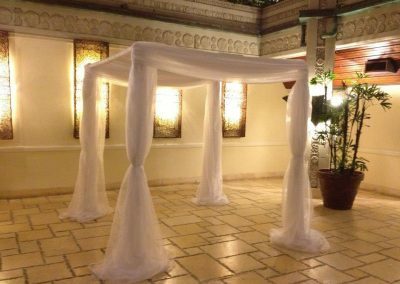 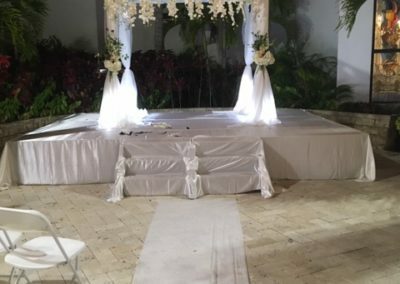 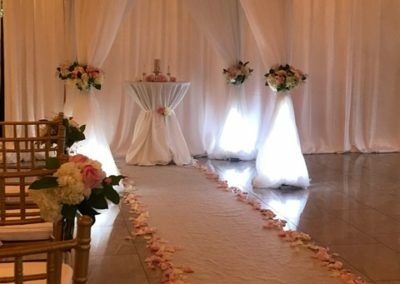 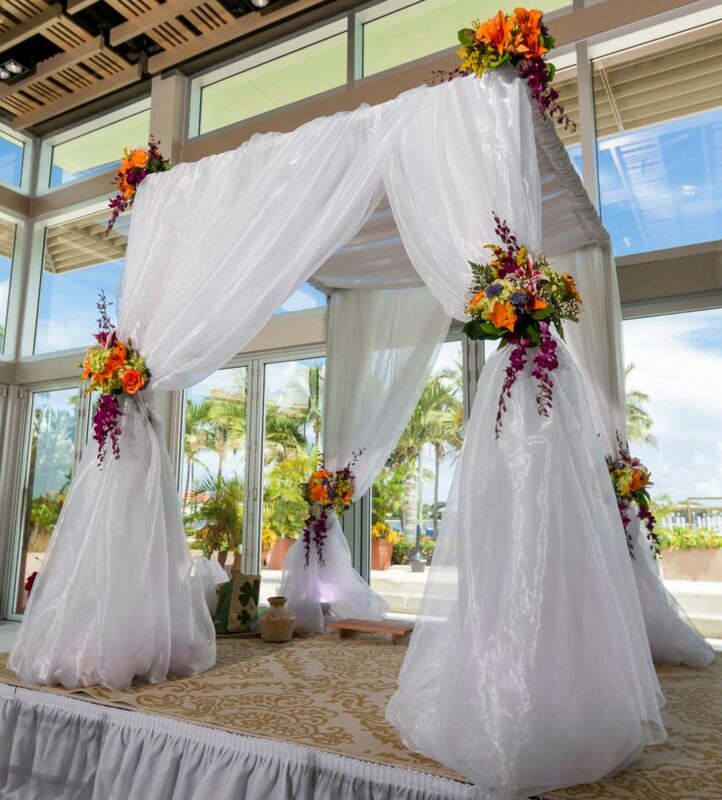 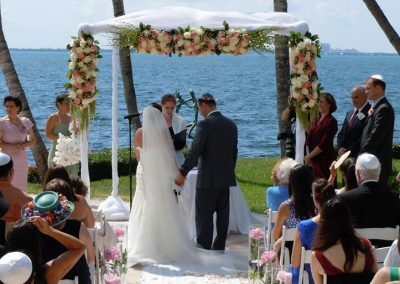 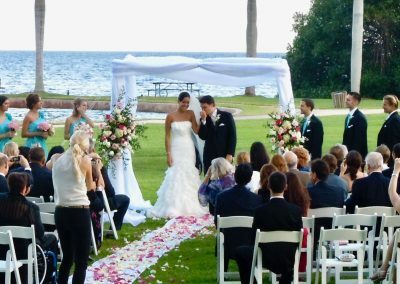 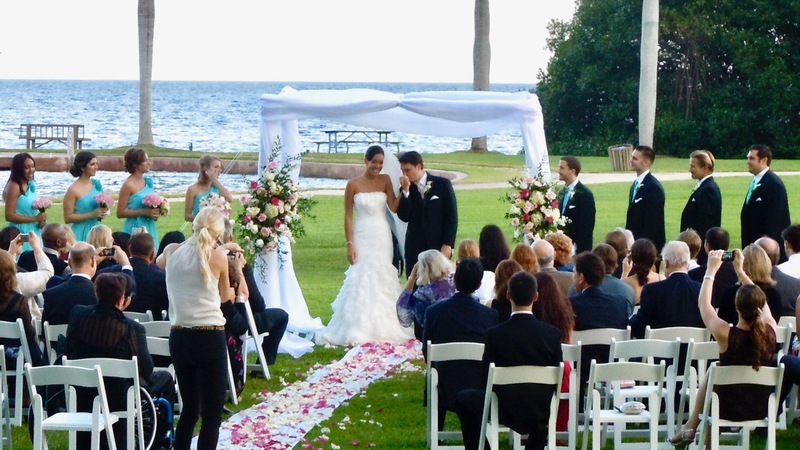 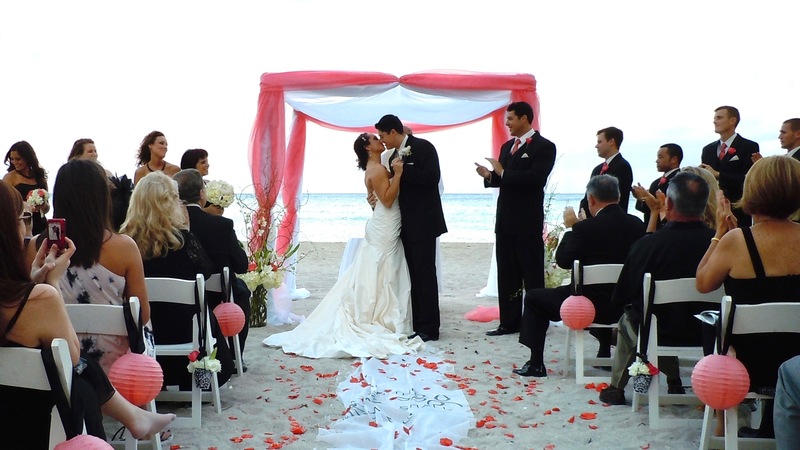 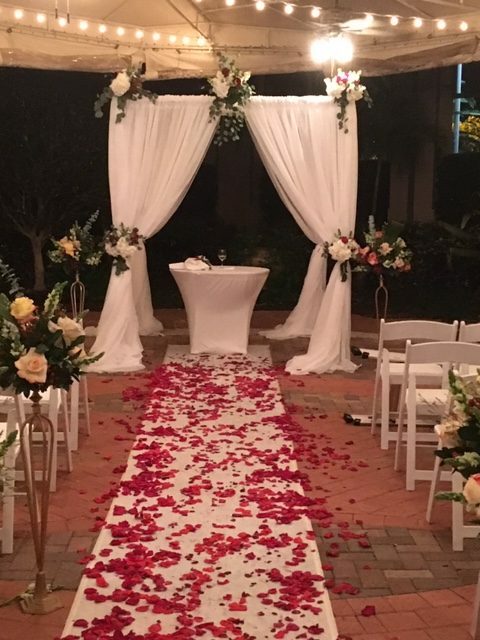 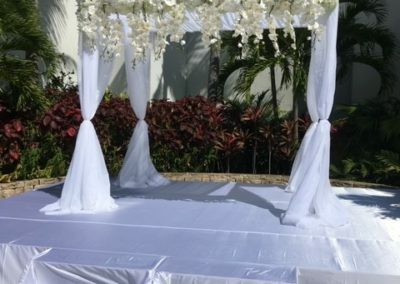 If contemporary is what you are looking for then our classic chuppah is the perfect match for you. 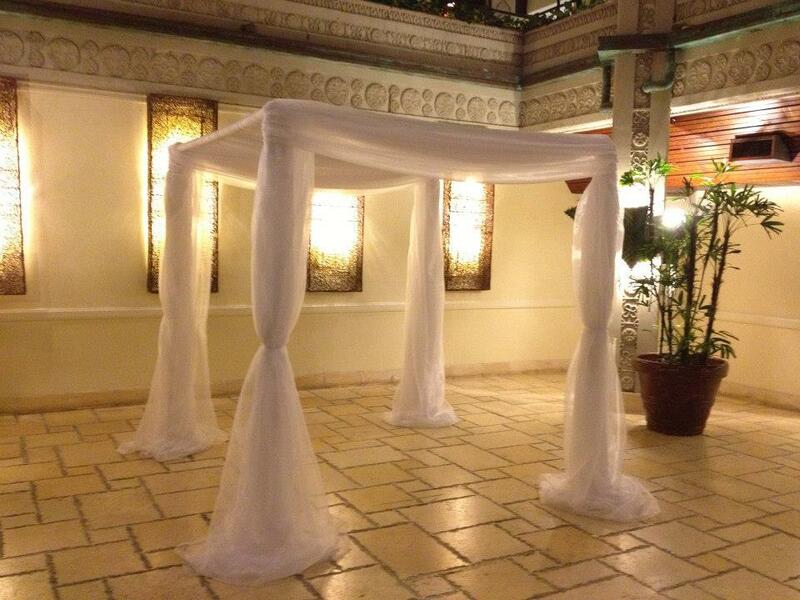 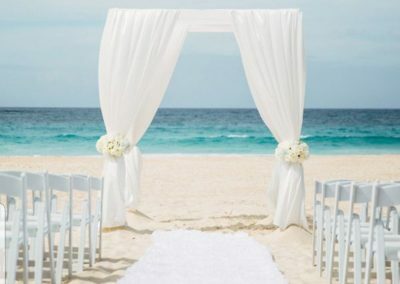 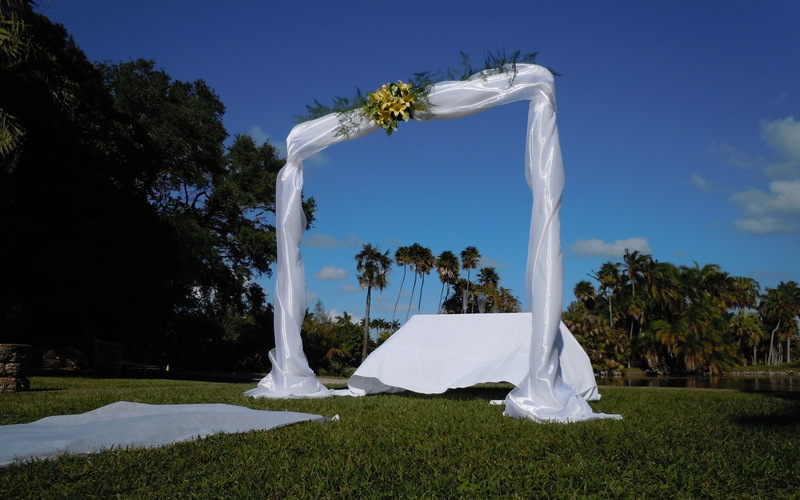 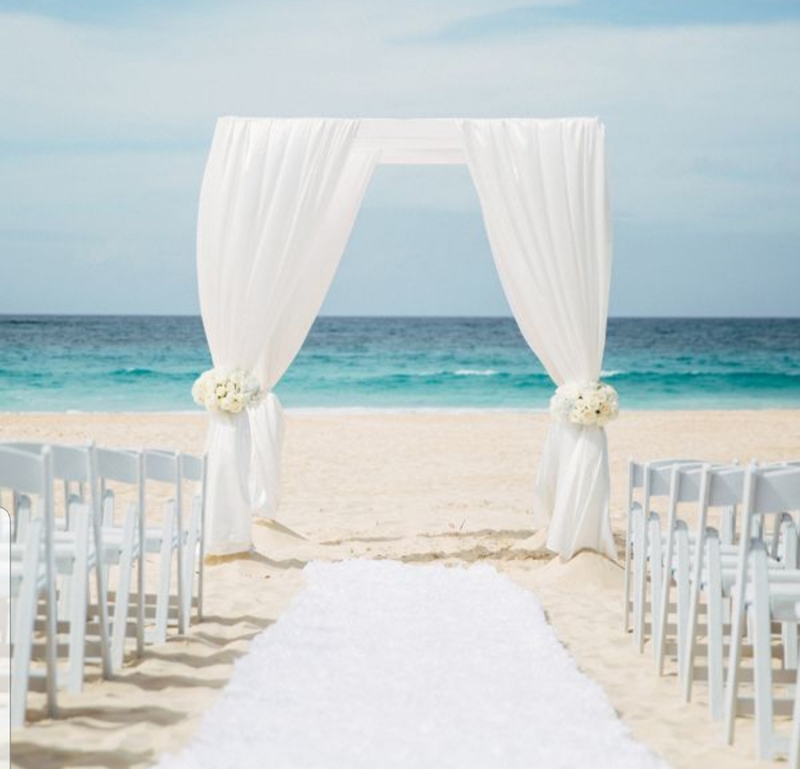 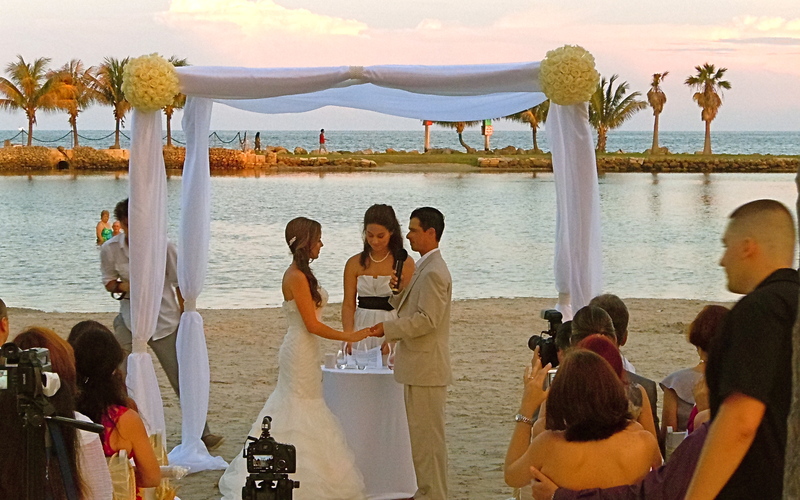 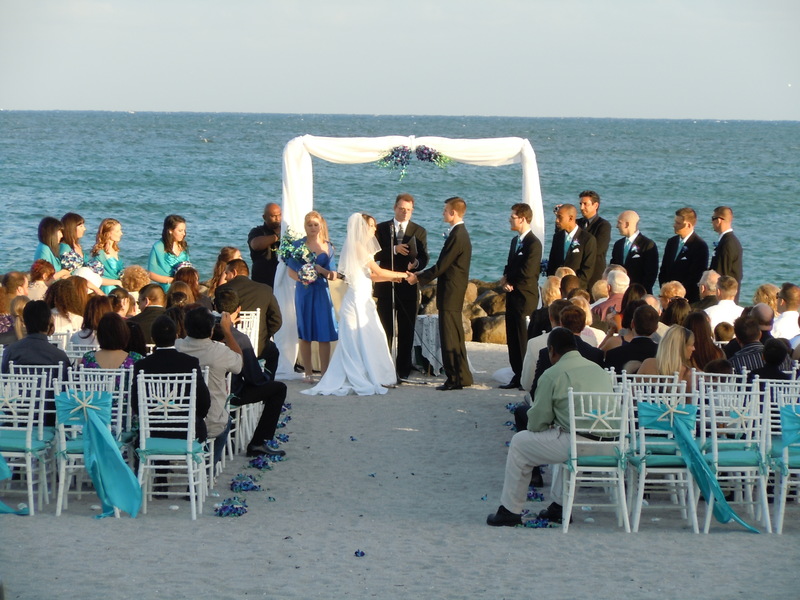 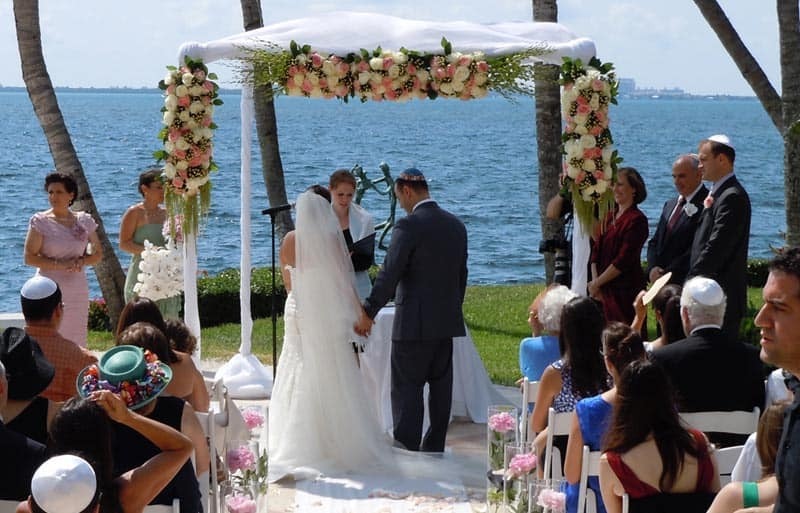 The Classic comes as a 4-post chuppah/canopy or a 2-post arch. 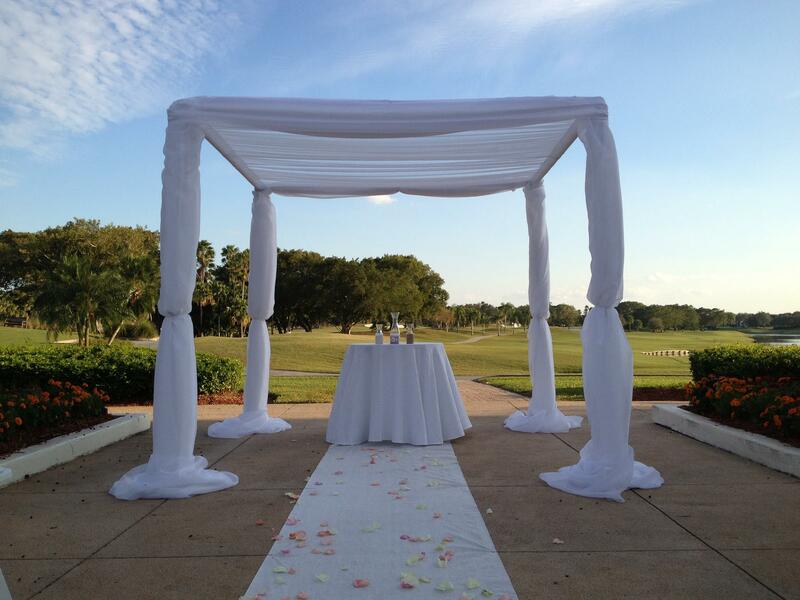 We supply white fabric but if you’re a bride or event planner that wants a different color or a color added to the white for two-tone, we can accommodate that for a small fee. The fabric comes draped across the top and the posts are shaped either as hourglass, straight or stretched. 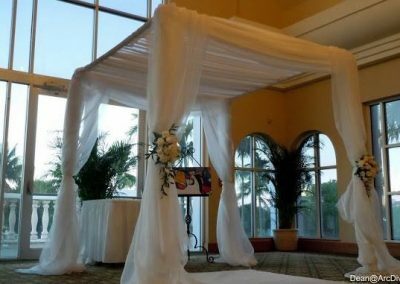 If you have a vision of what you want the draping to look like, please feel free to email us a photo. 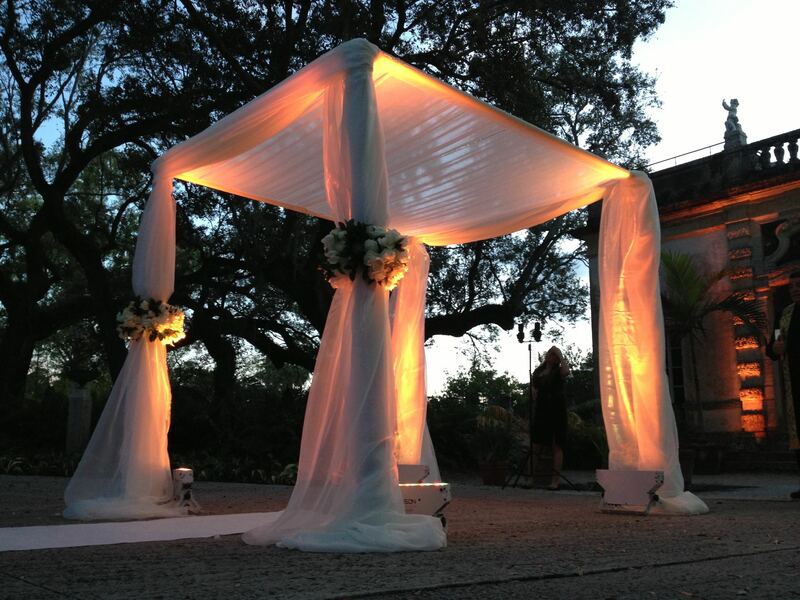 We can do any custom draping design you share. 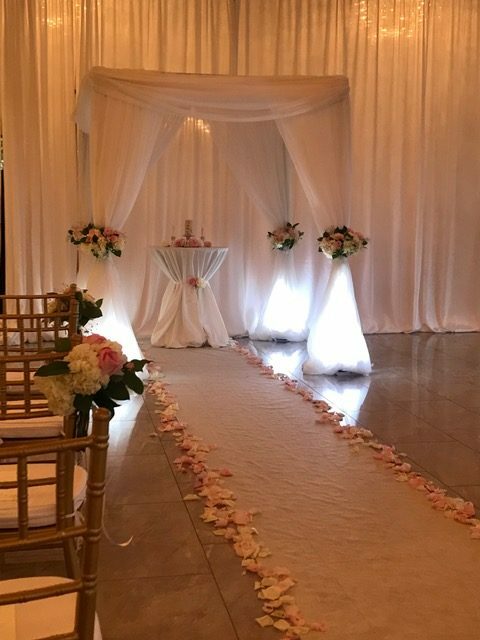 Your florist can provide a floral arrangement for the top front corner or the middle of the posts or 6′ flower bar and we will attach them for you. 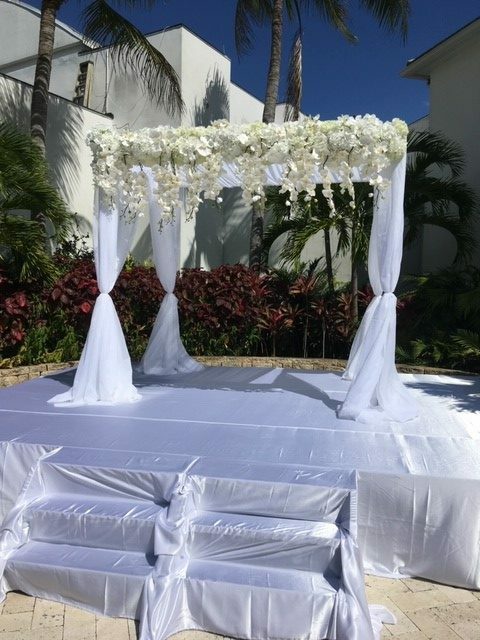 If you want a flower bar going across the top from post to post (1-side, 2-sides, 3-sides or all 4-sides) we will also attach that for no additional costs to you. 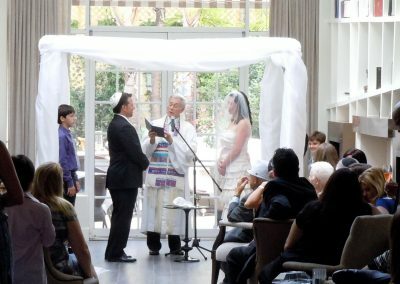 Fill out the form at the bottom of the page. 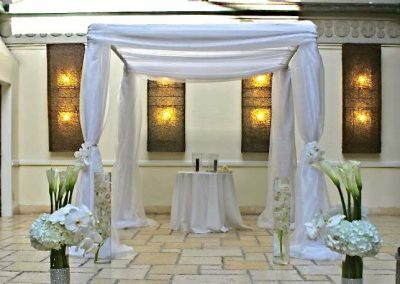 Once we confirm the chuppah of your choice, a deposit will reserve the date. We will then show up at the time you provided to setup and strike after the ceremony. 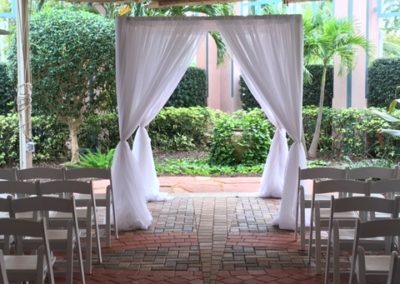 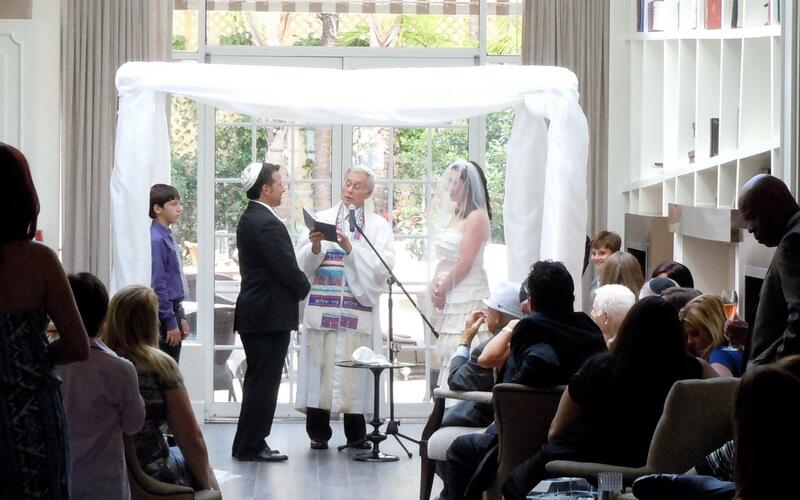 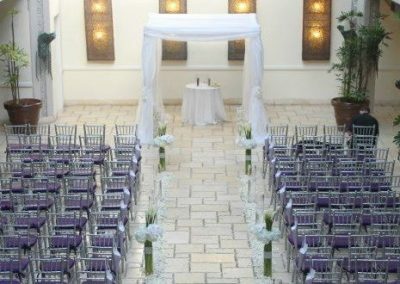 If you have special instructions for loading or parking please let us know upon booking the chuppah or arch rental. 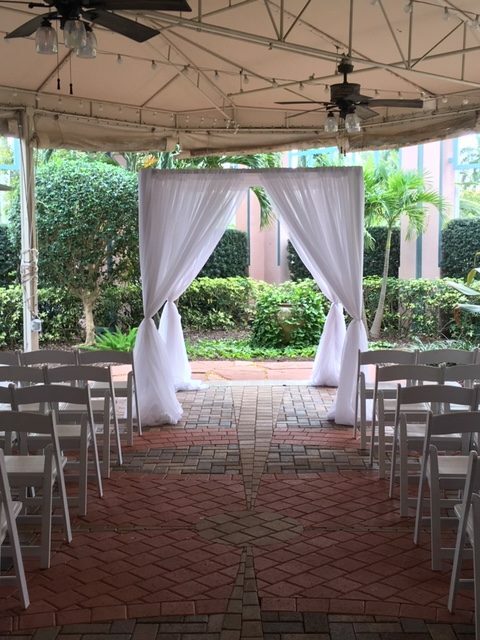 We serve Orlando to Miami and everything in between. 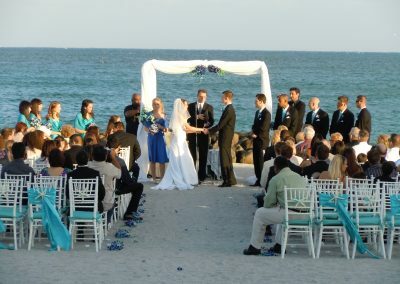 Miami, Fort Lauderdale, Palm Beach, Naples, Sarasota, Tampa. 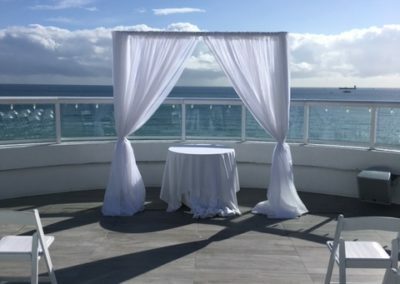 We work with every hotel from The Breakers in Palm Beach to the Ritz Carlton in Fort Lauderdale and all the way down to the Four Seasons in Miami Beach. 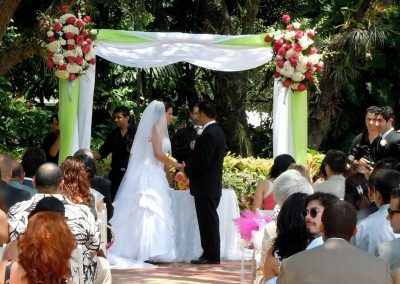 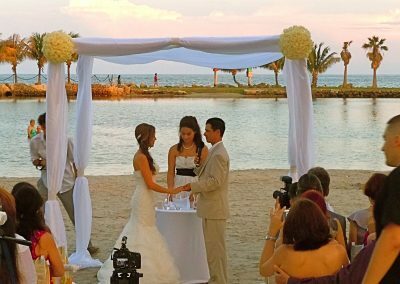 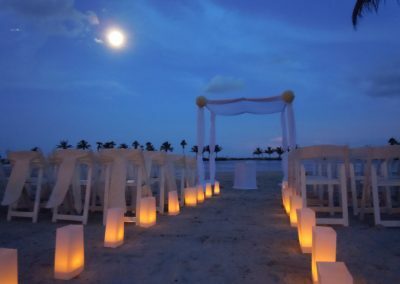 Other venues include beaches, churches, temples, private residences, community centers and more. 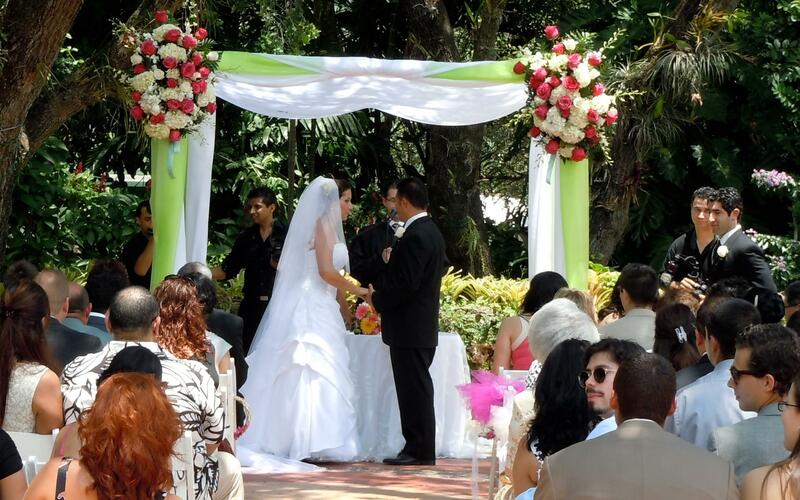 Included in the rental you will receive free delivery within 30 miles and a 4-hour time frame. 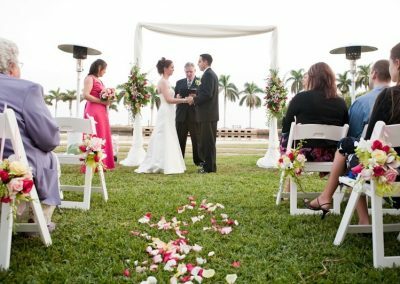 If you need more than 4 hours or you are outside the 30-mile radius from zip-code 33330, we can accommodate you for a small fee. 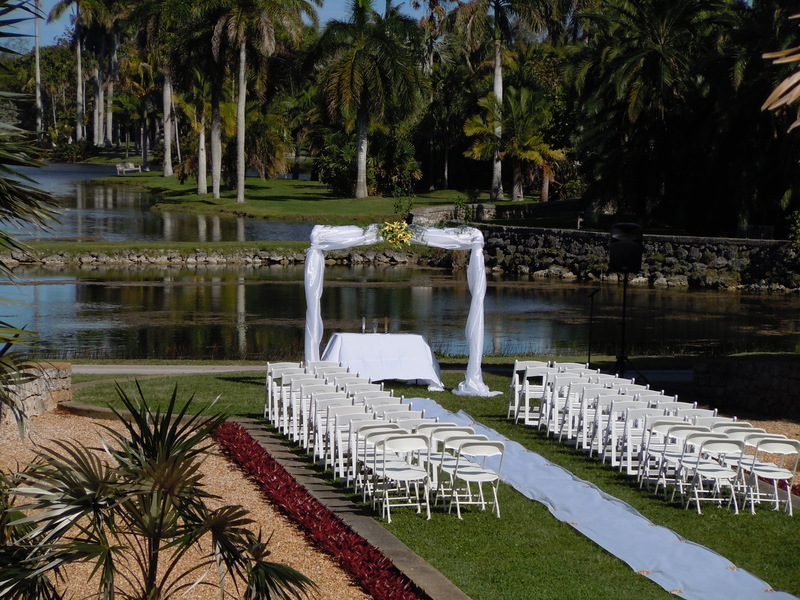 Our guarantee is we will always be on-time for delivery, setup and strike.